Whenever we talk anything on mobile technology, GSM and CDMA are the most commonly used words. Before we decide on which technology is better or superior, it��s necessary for us to understand the basic differentiation of the two technologies. CDMA - Code Division Multiple Access A rival to TDMA in the Americas, this standard was developed by QualComm, from which providers must license its use. CDMA carriers in the US include Sprint PCS (which oddly enough started as a GSM carrier), Alltel, and Verizon. There are now CDMA networks elsewhere in the world, including Argentina, Australia, Canada, Chile, Hong Kong, El Salvador, Guatemala, Israel, South Korea, Peru, Russia, Venezuela and Zambia. This offers some international roaming capability, though nothing like the near-global coverage available from GSM carriers. In the purest technical sense, CDMA is more efficient than GSM. In actual application, GSM has such widespread following and rich features to keep CDMA from being much of a threat. However, it's entirely possible that CDMA will contribute to the eventual demise of TDMA in the Americas, though that time is likely to be many years away for the US and Canada, and much longer for Latin America. GSM - Global System for Mobile telephones One of the few mobile phone standards with a self-explanatory name that is actually more or less accurate. It's the closest thing there is to an "international" standard -- GSM systems are used in nearly 200 countries (with 600 million subscribers) worldwide, from Europe (where the standard originated) throughout Africa, Asia and Australasia. Coverage in these areas is for the most part excellent; in some cities the use of Pico cells even makes it possible to use phones on moving subway trains. Though a latecomer to North America, GSM is now making some substantial gains there, though with a different flavor than used elsewhere. Originally utilizing the 900 MHz spectrum, GSM providers in parts of Europe, Africa, and Asia later added additional capacity at 1800 MHz. In North America, however, GSM service operates at 850 MHz or 1900 MHz. The good news for world travelers is that most cell phone manufacturers offer dual-band (900 and 1900 MHz), tri-band (900, 1800 and 1900 MHz) and a growing number of quad-band (800, 900, 1800 and 1900 MHz) phones that will work practically anywhere GSM systems are found. While growing rapidly, in the US and Canada GSM service can be scarce outside of larger urban areas. In Latin America, coverage continues to grow in many countries after it was introduced in Argentina, Bolivia, Chile, El Salvador, Paraguay and Peru (all at GSM 1900) along with Venezuela (GSM 900) and Brazil (GSM 1800). Notable non-GSM countries include South Korea and Japan. GSM is a feature-rich technology that includes fax capability and SMS (short messaging service). Most providers offer e-mail to SMS gateways, making it possible to receive flight updates and breaking news alerts over the phone. Many providers also offer quick connect data services through ISDN lines, and the latest generation GPRS (Global Packet Radio Service) promises high-speed "always on" data connections much faster than the traditional 9600 bps. If you can't tell, I'm a big fan of GSM and hope that it soon is available everywhere. Since bandwidth is the major problem in the modern times the CDMA has a very clear advantage over the GSM in these terms and also the number of channels (users) that can be allocated in a given bandwidth is comparatively higher for CDMA than for GSM. Further the cost of setting up a CDMA network is also comparatively less than the GSM network. 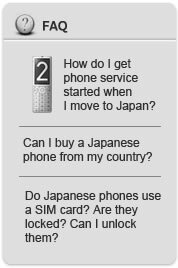 路 Facility to change SIM card at any time. 路 Roaming facilities, since GSM has coverage of over 70 %, international roaming would be much easier with GSM. 路 Greater level of privacy and security to the communication. 路 Lesser radiation while using cell phones. Due to these advantages there is high probability that CDMA technology will dominate the future of mobile communications. It is expected that in future CDMA will become superior and all the major cell operators will have a migration to CDMA. AMPS - Advanced Mobile Phone System At one time, this system might well have been "advanced" compared to earlier methods. The original 800 MHz analog cellular system introduced in North America in the early 1980s, now it's pretty much technically obsolete. However, even though it's been replaced by newer digital technology, in some rural areas, it still might be the only mobile signal to be had. I often carry a pre-paid AMPS phone as a backup for non GSM-areas. An enhanced version called N-AMPS (Narrowband AMPS) offers some digital phone-like features such as text messaging. Most of the US now uses E-AMPS, for enhanced AMPS. Every country in the Western Hemisphere has 800 AMPS service, as well as American Samoa, Angola, China, South Korea, Lebanon, Nauru, Northern Mariana Islands, Solomon Islands, Turkmenistan, Uzbekistan, and Western Samoa. D-AMPS - The first digital version of AMPS, also using the 800 MHz spectrum. Still used (though not widely) in certain countries including Bolivia, Brazil, Canada, El Salvador, Israel, Malaysia, Myanmar, Panama, Russia, Ukraine, Uzbekistan, and Vietnam. TACS - Total Access Communications Service The original European 900 MHz analog system launched in 1985 by Vodafone. Still used in Austria, Azerbaijan, Bahrain, Cambodia, China, Democratic Republic of Congo, Gambia, Ghana, Hungary, Ireland, Italy, Japan, Kenya, Kuwait, Malaysia, Mauritius, Nigeria, the Philippines, Singapore, Spain, Sri Lanka, Tanzania, United Arab Emirates, United Kingdom, and Yemen. Uses a protocol known as Frequency Division Multiple Access (FDMA). Variations include ETACS (Extended TACS), ITACS (International TACS), IETACS (International Extended TACS, NTACS (Narrowband TACS and JTACS (Japan TACS). NMT - An analog rival to AMPS and TACS that uses 450 and 900 MHz spectrum. Still used in parts of Europe and Asia, including Algeria, Andorra, Bangladesh, Belarus, Bulgaria, Cambodia, Croatia, Cyprus, the Czech Republic, Estonia, the Faeroes, Finland, France, Greenland, Hungary, Indonesia, Latvia, Lithuania, Malaysia, Morocco, Norway, Oman, Poland, Romania, Russia, Singapore, Slovakia, Slovenia, Spain, Swaziland, Sweden, Thailand, Tunisia, Turkey, Ukraine and Uzbekistan. Now that GSM is so widespread, some countries have halted NMT service in the past few years. TDMA - Time Division Multiple Access The first digital network widely used in the Americas, this is the system which at one time was and still is largely the core of major US wireless networks like AT&T and Cingular. (Of these, however, AT&T and Cingular are now converting some US bandwidth to GSM 1900. They may also use the newer GSM 800, which operates at 850 MHz). Outside the US, TDMA networks can be found in Argentina, Aruba, Bahamas, Belize, Bermuda, Bolivia, Brazil, Canada, Cayman Islands, Chile, China (including Hong Kong), Colombia, Costa Rica, Ecuador, Guam, Indonesia, Israel, Malaysia, Mexico, Panama, Peru, Russia, St. Maarten, Suriname, Uzbekistan and Venezuela. Some industry analysts are forecasting that the increasing growth of GSM and CDMA will eventually signal the end of TDMA. Indeed, it is being phased out so rapidly it may have already have been discontinued in many of the nations mentioned here. iDEN - (Integrated Dispatch Enhanced Network) iDEN is essentially a hybrid of TDMA digital cell phone and two-way radio. Providers are limited (examples are NEXTEL in the US and Amigo in Israel). Phone equipment is produced exclusively by Motorola, the company that created the standard by blending their historic experience with handheld radios with the expertise in cellular technology. Certain iDEN phones offer GSM 900 compatibility, making global roaming possible in many countries without iDEN networks. PDC - Personal Digital Cellular Behind GSM and D-AMPS, the world's mostly widely used digital system, though its use is limited to Japan. PHS - Personal Handy phone System A newer Japanese standard especially designed for high-speed data transmission up to 32 Kbps. Some installations may also be found in parts of China, Thailand and Taiwan.